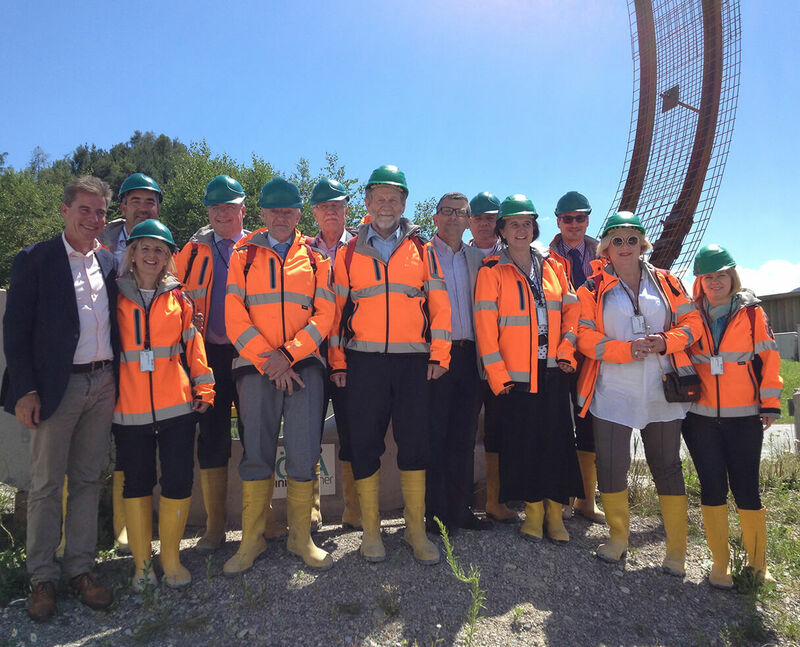 To see the works on the Brenner Base Tunnel up close, a delegation from the European Parliament’s Committee on Transport visited the Ahrental construction site. The Chairman of the Committee, Mr. Michael Cramer, was also with the group. The European Parliament’s Committee on Transport has significant influence, from both a legislative and a budgetary point of view, on the projects along the TEN Corridors. 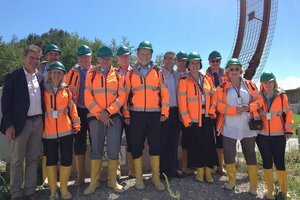 During a three-day trip through Bavaria, Tyrol and Alto Adige, the delegation visited projects and companies that bring both significant added value to the European Union and important improvements in traffic flows. These include the Austrian-Italian joint project which is the heart of the Scandinavian-Mediterranean Corridor. After the press conference on Ten-T corridors in the offices of the Innsbruck urban transport company, the CEOs of BBT SE, Prof. Konrad Bergmeister and Mr. Raffaele Zurlo, presented their project. 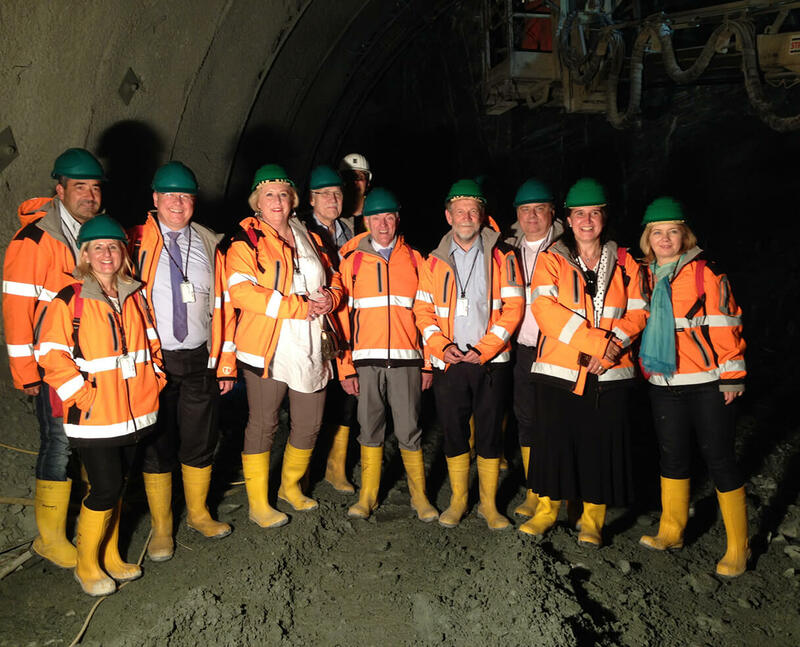 During the following tour of the tunnel, participants were able to see the works up close and in real time. 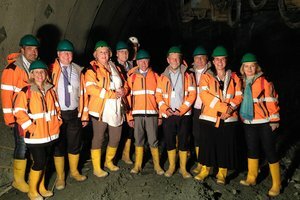 The delegation was visibly impressed at the speed, efficiency and good coordination of the works on the longest underground railway connection in the world.